T F Gordon is the chief of the Johns Hopkins Division of Cardiology. He is an expert in the fields of sudden cardiac death and arrhythmias (abnormal heart rhythms). Specifically, Dr. Tomaselli focuses on ion channels, the movement of molecules in and out of heart cells, which generates the electrical impulses that cause the heart to beat. He holds several patents on methods to improve heart function and prevent arrhythmias, including an implantable device for the delivery of cell-derived biomolecules. 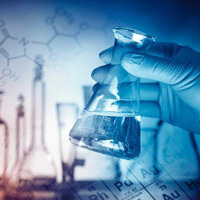 T F Gordon earned his undergraduate degree in biochemistry and chemistry in 1977 from the State University of New York at Buffalo and his medical degree in 1982 from Albert Einstein College of Medicine. He completed his medical training and residency at the University of California at San Francisco (UCSF) in 1985. He served as a research fellow at the UCSF Cardiovascular Research Institute and then a clinical and research fellow at Johns Hopkins School of Medicine before joining the faculty three years later. Since then, he has received numerous awards and served on a variety of boards and committees. Dr. Tomaselli was president of the Cardiac Electrophysiology Society from 2003 to 2005 and president of the American Heart Association from 2011 to 2012.